The Hiroaki Ohta OLF-75 slip joint Folder offers unmatched quality with flawless fit and finish. It has a 3" Damascus blade made from VG-10 core steel with a nail nick opener. 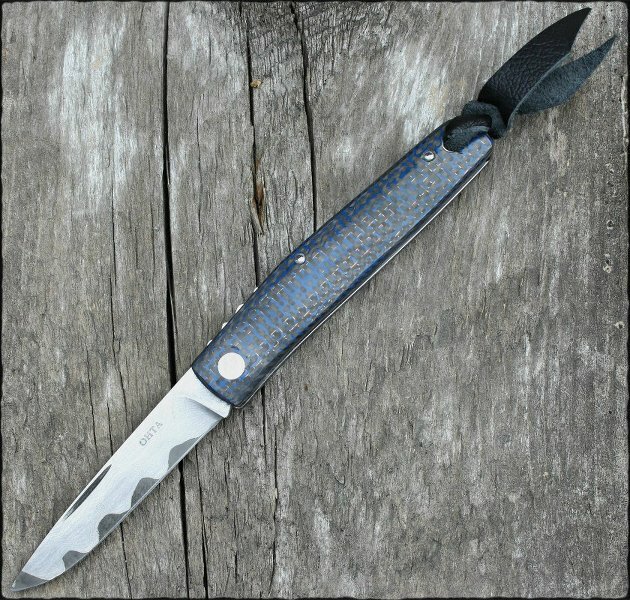 The handle is made from blue lightning strike carbon fiber scales with stainless steel liners. A leather lanyard adds a classic finishing touch to the design. Comes equipped with a black leather carry pouch. Last edited by Perryknifeworks; 06-11-2018 at 02:04 PM.